Howdy pard! Heel yourself with a proper six shooter and prepare for a real shootout. In Wanted 3-5 players will take on a roles of an infamous Old West characters and shoot their way to the riches. 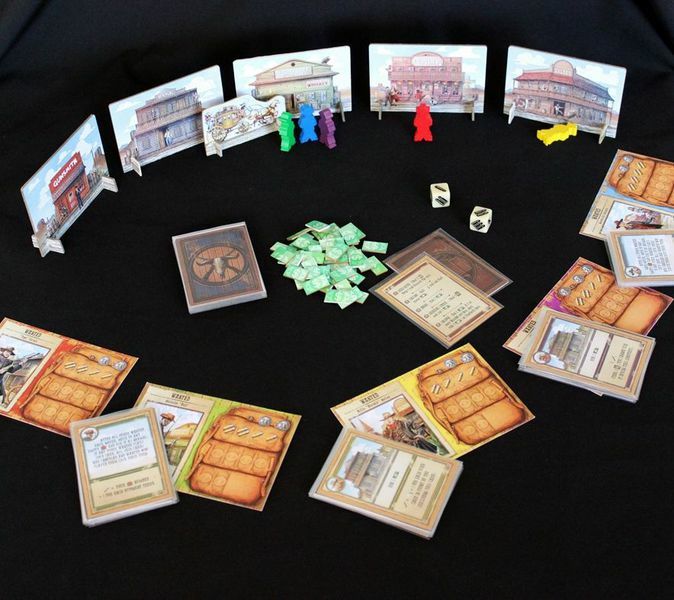 Each turn the players are secretly choosing one of the five locations they’re heading to. 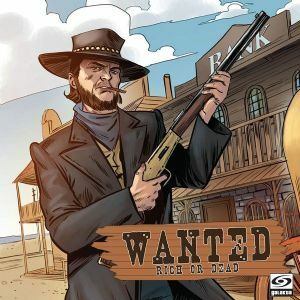 After revealing the cards, the characters can use the special ability connected with that location – you can rob a Bank, buy something useful at a General Store etc. Unless of course two or more players choose the same spot – then it comes to a shootout with only one gunslinger winning at the end. The player who have the most money at the end, wins the game. Wanted is a fast and fun experience with tons of interaction. Each character has his own set of 5 cards, which allow him to move and are also used during a shootout. Although there’s also a luck factor involved with a single dice used to determine the outcome of shooting abilities, each character plays differently and has his own strengths and weaknesses. You can try to get the best items and use them to your advantage, try to avoid other players and steal as much as you can or just go straight into a fight to stop the other players from using the locations’ abilities. The choice is yours but remember – this town is really small and you’ll eventually find yourself in the midst of a shootout. Publisher Note: there's a special 2 player variant included in the box.